It's hot and getting hotter. For this project, we were commissioned to provide a knowledge brokering role to connect climate change adaptation science with natural resource management practitioners. 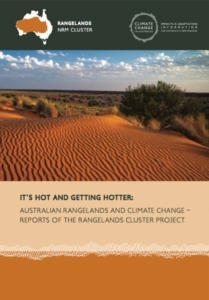 The key aim was to enable rangelands natural resource management (NRM) groups to factor the impacts of climate change into their normal planning processes, to drive better-informed decisions and more strategic investments regarding the long-term sustainability of rangeland communities and industries. While this project had a strong focus on developing appropriate communication products and connecting project partners, it was our experience in both managing research and working with NRM practitioners,that added extra value for the client. The project ran for three years to June 2016. 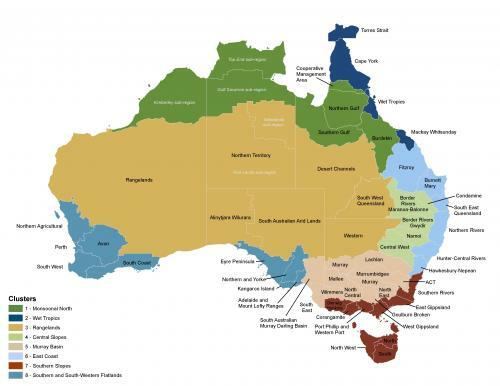 Partners involved in the project: CSIRO, University of Canberra, and the Rangelands Cluster: Alinytjara Wilurara NRM, Desert Chanels NRM, Rangelands NRM WA, SA Arid Lands NRM, South West NRM (Qld), Territory NRM and Western CMA (NSW).